Watch the best of the action from The Hawthorns. Watch our quickfire highlights from The Hawthorns. Mauricio Pellegrino on a confidence-building win at West Brom. View our images from the dramatic win at The Hawthorns. Watch the boss's verdict on the 3-2 win at The Hawthorns. Saints midfielder on a big 3-2 win at West Brom. Take on our pre-match quiz ahead of Saints' trip to West Brom. Mauricio Pellegrino on Saints' trip to The Hawthorns. Get the views of West Brom manager Alan Pardew. Check out our in-depth preview ahead of the trip to West Brom. Albion legend to be remembered ahead of Saturday's match. Mauricio Pellegrino on approaching West Brom trip 'like a final'. Birmingham Mail journalist Joseph Chapman assesses Saints' next opponents. Watch the manager speak with the media ahead of West Brom. Steven Davis on the big trip to The Hawthorns. Official Members can buy tickets for next month's Albion trip. Check out some of the best images from a dramatic day at The Hawthorns! It was a dramatic game, but it ends up going in Saints' favour! Mauricio Pellegrino's side have jumped up four places in the Premier League table, as they end a run of 12 top-flight games without a victory! Phillips is cautioned for a foul on Mario Lemina. Ryan Bertrand is booked for time wasting. A nervy period ahead, as Saints look to see this out! Saints make their final change of the match. Saints make another change, as the clock runs down. Cédric with a great cross from the right, which picks out Shane Long at the back post, but he heads over from a great position. Saints make their first change, as former West Brom man Long comes on for Carrillo. Salomon Rondon rises highest to meet a cross from the left, and his header goes in off the post to make it 3-2. He's much further out this time, but James Ward-Prowse has another go. This time, though, his effort flies just above the top corner. Alan Pardew makes a second switch for Albion. A first change for the hosts, as ex-Saint Rodriguez comes on. It's a two-goal cushion for Saints! 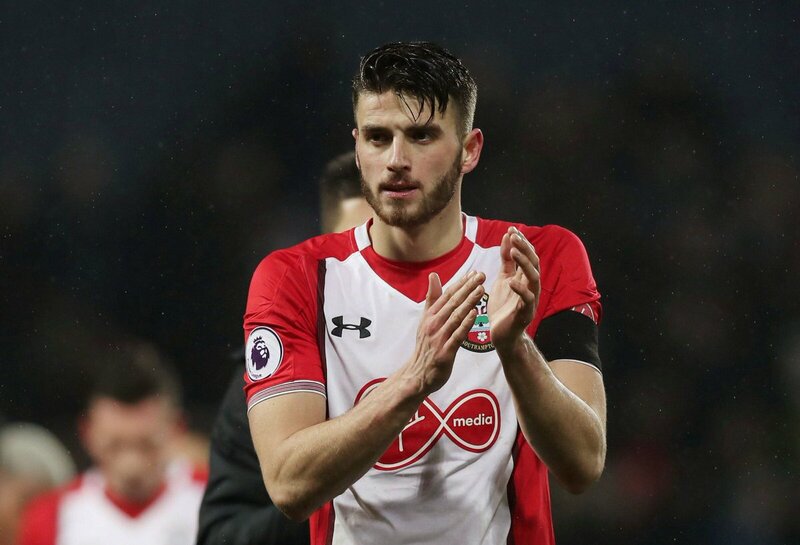 Wesley Hoedt is tripped just outside the area, and James Ward-Prowse steps up to thump a low shot round the wall and into the bottom corner. YES! Dušan Tadić gets onto a long ball over the top from Cédric and manages to lift it over the on-rushing Ben Foster, but West Brom get back to clear. Chris Brunt tries to catch Saints out by hitting his free-kick from 20 yards along the ground, under the jumping wall. It works, but brushes a Saints foot on the way through and goes just inches wide of the post Wirth Alex McCarthy beaten. Check out some of our images from a dramatic first half at The Hawthorns! What a turnaround! Goals from Mario Lemina and Jack Stephens see Saints rally from an early deficit to lead 2-1 at the break! Alex McCarthy keeps Saints' advantage in tact, diving to his right to tip Chris Brunt's well-hit free-kick around the post! Incredible! It's three goals in three games now for Jack Stephens, who meets James Ward-Prowse's corner with a brilliant flicked header that finds the far corner. What a turnaround! Lemina hits a sensational strike from 25 yards that rockets into the top corner! GET IN! Daniel Sturridge finds space down the inside-left and lashes a shot across goal from a tight angle, but his effort is a little high and wide of the far post. Plenty of ball now for Saints. They come forward again through Tadiç is shot spins off Chris Brunt and onto the roof of the net. The Egyptian almost adds a second; the ball bounces up off his chest and is goalbound before Mario Lemina heads it clear. Nice link-up play between Dušan Tadić and Guido Carrillo works room for the striker on the edge of the area, but he drags his shot wide of the near post. Cédric produces a lovely delivery from the right that is turned behind by Craig Dawson, before Albion clear the resulting corner. Saints work the ball to Sofiane Boufal 25 yards out, but his low strike whistles just past the post, with Albion keeper Ben Foster at full stretch. Chris Brunt's corner picks out the run of Hegazi six yards out and he thumps home a header to give the hosts the lead. Mario Lemina is today restored to the starting line-up, having been absent for the last two games. I expect the whole team to be connected with the game. we have to try to manage the ball more than them. 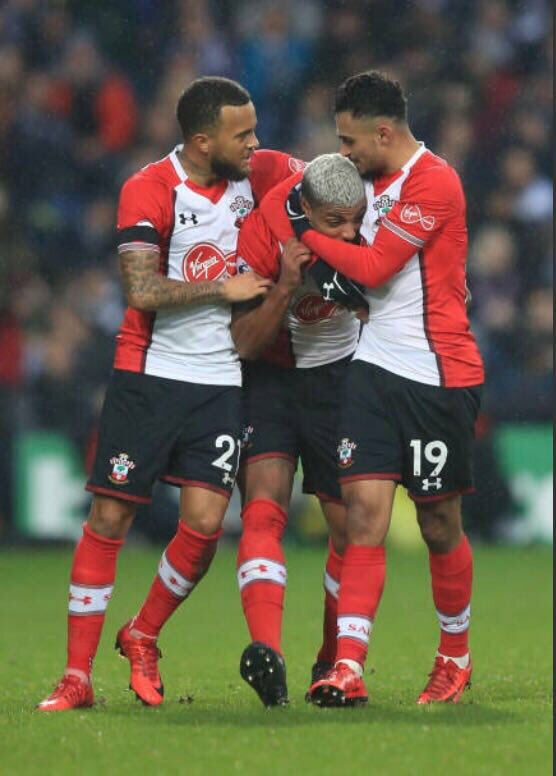 With Steven Davis and Maya Yoshida among the substitutes, it's Ryan Bertrand who takes the captain's armband for this afternoon's game. I'm sure it will be a very difficult game. west brom has a very good squad, but we also trust our abilities and we have come here for the win. After two substitute appearances, new Southampton signing Guido Carrillo is handed his full debut at The Hawthorns this afternoon! Starting XI: Foster, Nyom, Yacob, Rondón, Phillips, Brunt, Sturridge, Barry, McAuley (c), Dawson, Hegazi. Subs: Myhill, McClean, Burke, Rodriguez, Field, Harper, Jameson. Starting XI: McCarthy, Cédric, Stephens, Hoedt, Bertrand (c), Romeu, Lemina, Ward-Prowse, Tadić, Boufal, Carrillo. Subs: Forster, Yoshida, Davis, Højbjerg, Redmond, Long, Gabbiadini. Team news coming up shortly! We'll have the line-ups here for you at 2pm GMT! Mauricio Pellegrino's pre-match injury update revealed that striker Manolo Gabbiadini is suffering from a hip injury and is doubtful for the trip to The Hawthorns. Fellow frontman Charlie Austin remains absent too, but there is otherwise a clean bill of health for the Saints squad. We'll have the team news for this afternoon's game here for you at 2pm GMT. 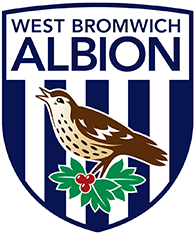 West Bromwich Albion will today be celebrating the life and influence of their legendary former player Cyrille Regis, who passed away last month. Fans of both clubs are being encouraged to raise their scarves during a special tribute video, while there will also be a minute's applause ahead of kick-off. Can Saints repeat last season's success? A win would be huge for Southampton today, and they got one when they visited West Brom last season, with Jordy Clasie's sweet strike the only goal of the game. Watch our highlights from that encounter, in April 2017. Check out some of our images from Staplewood this week as Saints got set for today's game. it's a massive game for us. we have to go into it with the feeling we are playing a final. Welcome to Matchday Live! It's a big day in the Premier League, as third-from-bottom Saints visit the division's 20th-placed team, West Brom. 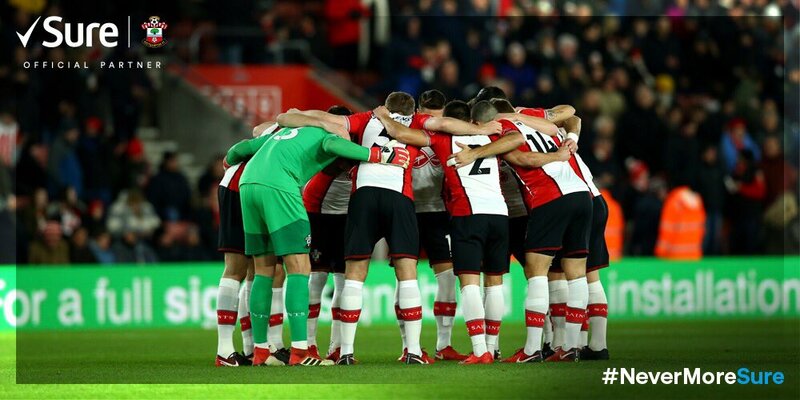 There's no doubting how much the three points would mean to each side, and a win would see Southampton end the day outside of the relegation zone. We'll be here to guide you through the day, with all the build-up, team news, match updates and free commentary!